The TC4N attaches to any MFD to control and manage photocopying output efficiently. It works with secure magnetic cards and is easy to use, compact and reliable making it ideal for any environment. It operates by locking the photocopier out until a valid card is inserted. 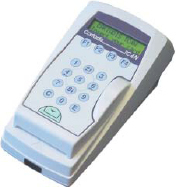 The TC4N then displays the information contained on the card on the screen and activates the photocopier. As each copy is taken, the display updates to show the number of copies left on the card. 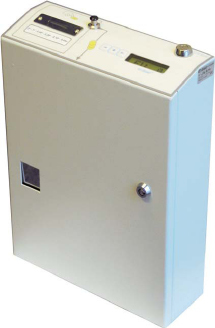 The CM4000 is designed to attach to any MFD to control walk up, self service, round the clock photocopying. It works simply by ‘locking out’ the MFD until the user inserts a valid number of coins into the unit. It then calculates how many copies can be made and counts down as they are taken. Plastic rechargeable cards have a long life and can be re-loaded many times with funds. They work in a similar way to credit cards - a user identification number or account number is programmed into the card’s memory which is recognised by the card reader. The details are then stored within the card reader’s memory. 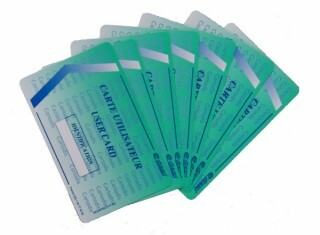 Paper disposable cards hold an electronic purse which can be pre-loaded with copy or cash credits once only and used until all the units have been depleted. These are ideal for selling ‘over the counter’ for anonymous users. ITS is pleased to offer a pre-encoding service, please contact us for more details.